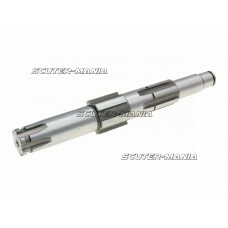 Auxiliary shaft or layshaft with 22-18-14-10 teeth for various 50-125cc Vespa classic scooters. OEM-.. 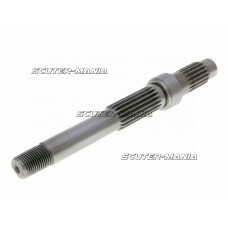 Replacement driveshaft 146mm incl. 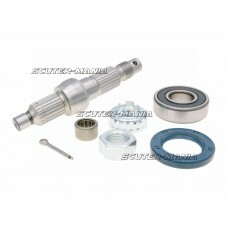 nut, castle nut and securing pin for 50cc scooters with Piaggio e..
Wheel shaft / gearbox output shaft including nut, crown nut and retaining clip for scooters with 50c..
Reinforced, lighter output drive shaft from Malossi for 50cc Piaggio engine scooters. This wheel axl.. 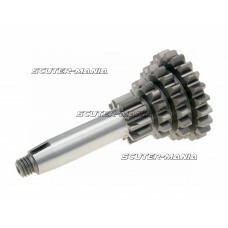 Transmission output shaft for geared bikes with Minarelli AM6 engines and 50cc gear bikes from , Gen.. 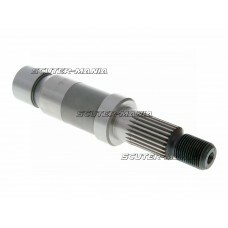 Replacement driveshaft 126mm incl. all necessary mounting wear parts for 50cc scooters with Piaggio .. 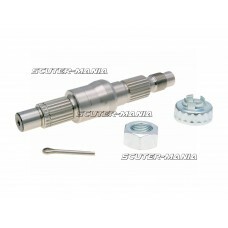 Replacement driveshaft 143mm incl. 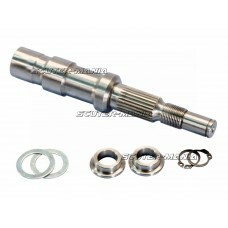 all necessary mounting wear parts for 125cc and 150cc vehicles wi.. 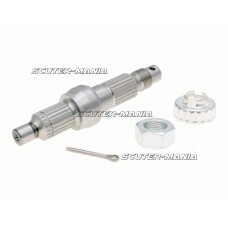 Replacement driveshaft 146mm incl. all necessary mounting wear parts for 50cc scooters with Piaggio .. 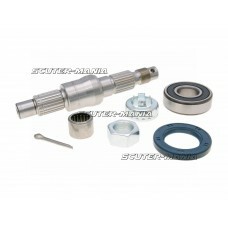 Spare wheel shaft / gearbox output shaft including nut, castle nut, cotter pin and locking rings for.. 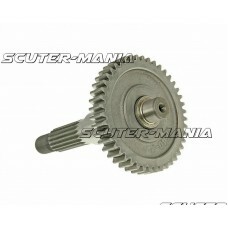 Transmission output shaft by Polini for Scooter 50cc Piaggio engines with press-on gear on the drive.. 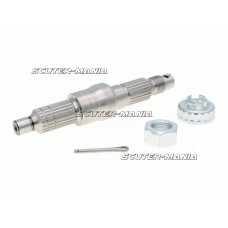 Replacement driveshaft 143mm incl. nut, castle nut and securing pin. Suitable for scooter models wit.. 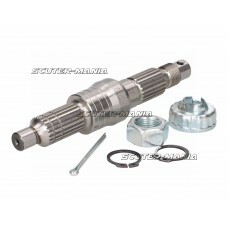 Complete OEM 6-speed transmission output shaft / countershaft for geared bikes with Piaggio / Derbi ..
OEM transmission output shaft / countershaft for Piaggio / Derbi engine D50B0. 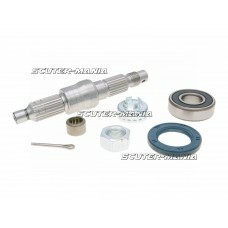 Genuine Piaggio repla..
Gearbox output shaft incl. 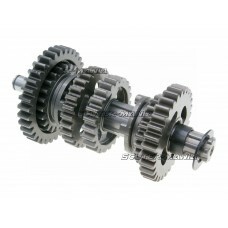 sprocket for 50cc Chinese-built 2-stroke, CPI and Keeway scooters. 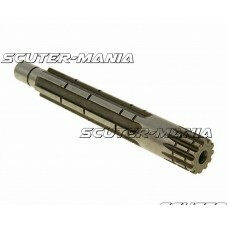 44 too..
Gearbox output shaft - long version. For rear wheel mounting. Total length: 197mm, used for vehicles..